Make detangling your hair simple with this efficient hair brush. 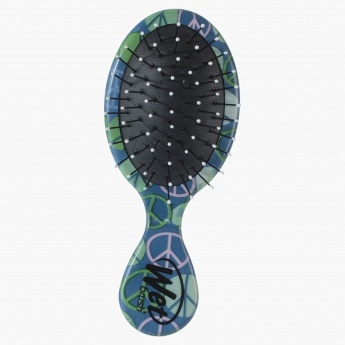 Featuring sturdy bristles with soft tips and cushion system, it offers comfortable experience. The compact paddle shape coupled with the trendy peace symbol print elevate its trendy vibes.